The real estate industry in the United States is currently the most lucrative and profitable sector, worth an estimated $40 trillion as of 2015. Residential real estate brings in $23 trillion a year and commercial real estate rakes in $15 trillion a year. To put it plainly, the American real estate industry is larger than any other industry in terms of fixed income, health care, and equity. It’s a formidable sector with serious influences on job growth, the economy, and the nation’s infrastructure. That said, one would think an industry so profitable would be leading the charge with technology incorporation and development. Not necessarily. The powers that be in the enormous sector have been slow to adapt to the changing trends and want to keep the industry’s focus on one-to-one clientele relationships, since that is what secures a purchase at the end of the day. There is great potential for technological inclusion in the real estate industry. Realtors saw a steadied, predictable real estate market return to the U.S. for the first time in 2015. Unemployment is decreasing, the economy is expanding, and disposable income is increasing. Basically, people are starting to buy property again. 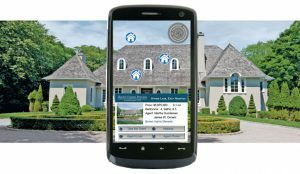 With this encouraging change, members of the real estate industry are turning their attentions to the tools and opportunities that come with increased technology. Compared to previous years, the real estate industry now seems to be in a solid grip. With the economy continuing to progress, more jobs will be available and this means more money for people to spend. They will be able to upgrade their homes or purchase a new one. Take a closer look at the trends that will shape the future of real estate in 2016. Builders have focused on producing expensive housing units due to higher land costs, uncertainties about the level of demand in the entry-level market and limited labor. This strategy has caused the prices of new homes to increase faster than the costs of existing homes. Builders were able to enjoy profits, but their potential for growth was limited as they avoided the entry-level market. However, this would change in 2016. New-home prices have already declined this fall. Builders are also finding the first-time buyer section more attractive with the improvement in credit access. This 2016, builders will offer more affordable housing units. The availability of such units will depend on the location, but consumers can expect to find more affordable properties this year. The economy’s recovery has resulted in job growth, strengthening the commercial sector as well. Open office plans are now more common. In 2000, the average square foot for every worker was 253. This is expected to drop to 138 by 2020 and will only continue in the following years. Existing spaces will be redeveloped and coworking will further increase. Development in the office landscape will continue.